Souters has a range of Event Management Courses that are taught in classroom environments in London. All of the courses are delivered by experienced Event Management trainers. Our Event Management Courses are all fully accredited by the CPD Standard Institute. We have developed training courses people who are looking for an Accredited Event Management Training Courses that provide a solid foundation in knowledge and skills. 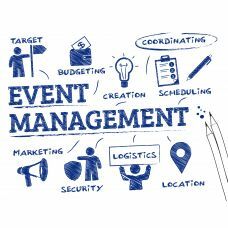 We have one day and two day Introduction to Event Management Courses which are held at scheduled dates in London. We do offer more specialised Bespoke Event Management Training Courses. We also offer a two day programme for Event Assistants. This is an excellent way to gain a recognised qualification as an Event Assistant. Many successful Event Managers start out as Event Assistants. Existing Event Assistants often choose this training programme in order to ensure that they are able to gain the practical training and qualification to progress their careers and gain confidence. We additionally offer Project Management for a PA Courses and Advanced Project Management Courses. Event Management is a growing skill in a growing industry which is required as a part of everyday.. Event Assistant Course Objectives · To develo..